BRUSSELS, Jan. 22 (Xinhua) -- The European Union (EU) on Monday imposed sanctions on four members of the GRU, the Russian military intelligence service, in response to the poisoning of former Russian spy Sergei Skripal and his daughter in 2018. The EU accused the Russians -- two agents, as well as the head and the deputy head of the GRU -- of orchestrating the "possession, transport and use" of the nerve agent used in a failed attempt to assassinate the double agent. 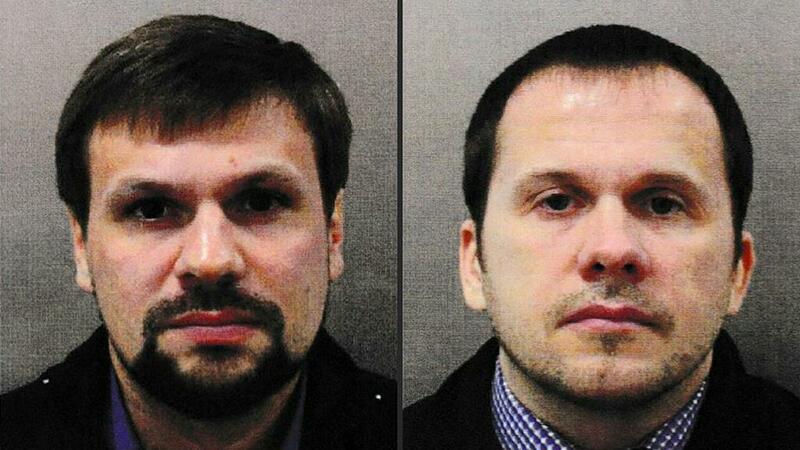 The agents are accused of using pseudonyms of Alexander Petrov and Ruslan Boshirov, but the sanctions order confirms reports that identify them as Anatoly Chepiga and Alexander Mishkin, both 39 years old. Besides the measures against the four GRU officers, the EU also slapped asset freezes and travel bans on five Syrians related to Syrian President Bashar al-Assad's alleged chemical weapons program. The Russian foreign ministry denied the charges, saying the claims against its personnel had been invented by Britain for its own diplomatic interests. "We reserve the right to take retaliatory measures over this unfriendly step," the ministry said in a statement. "An information campaign unleashed by the British authorities over this case primarily has a domestic agenda. It is telling that its new round coincides with a new crisis in Brexit talks," it said. Skripal, aged 67, and his 34-year-old daughter Yulia, were found unconscious on a bench outside a shopping center in Britain's southwestern city of Salisbury on March 4, 2018. The Skripals survived the attack but a British woman was killed in June after her partner picked up a discarded perfume bottle that investigators believe was used to carry Novichok, a series of nerve agents. Following the incident, Britain expelled a number of Russian diplomats. The United States and a number of European states supported London by also expelling Russian diplomats from their countries. Russia expelled an equal number of foreign diplomats in response.